Where does most of your website traffic come from? Most of you would probably answer organic search or paid search. However, social media is often one of the channels that drives a generous amount of traffic to a website. Facebook alone has 1.59 billion monthly active users and 1.04 billion daily active users on average. Twitter has 320 million monthly active users and there are 1 billion unique visits per month to websites that have embedded tweets. The professional network platform, LinkedIn, has over 400 million members in more than 200 countries in the world. Instagram, which was only launched 6 years ago, already has over 400 million monthly active users on their platform. Each day, there are close to 80 million average photos being shared. All these statistics point to one thing. That social media is extremely powerful. 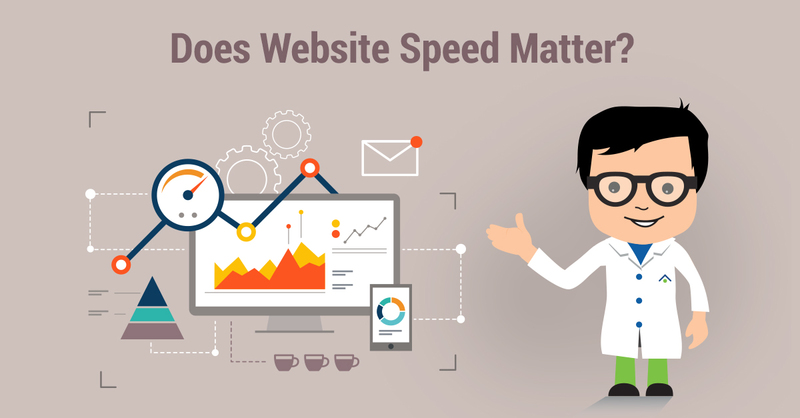 So, how can you leverage these platforms to drive users to your website? Think of it this way. If your audience is in the same time zone as you, say Eastern time, you wouldn’t want to have your posts go live for Central time or Pacific time. Of course, you also want to be posting when your audience is awake and active on the platform. Luckily, there are a number of tools that analyzes your specific audience and provide you with the most optimal time to post. One of my favourite tools is Buffer. 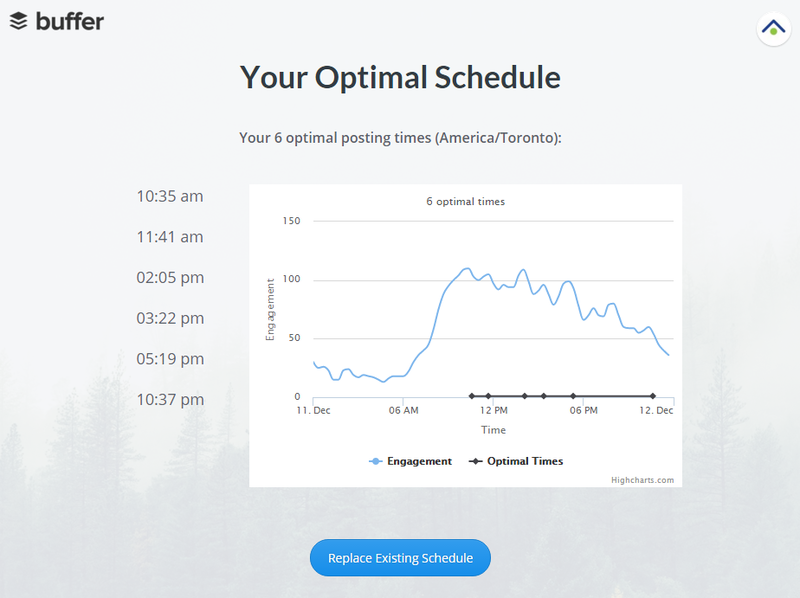 Their Optimal Scheduling tool allows you to discover the best time to share on social media. You can even customize the number of times to post in the day. FollowerWonk allows you to find out when your Twitter followers are the most active during the day. What’s great about FollowerWonk is that you can schedule it into your Buffer. Two other great places for insights on your social media engagement is Twitter Analytics and Facebook Insights. 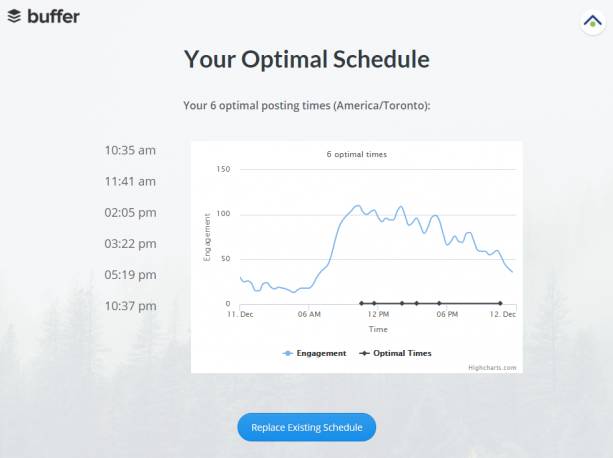 And if you want to avoid using tools to find the most optimal time, there are many infographics available that give you a general idea of the best time to post. If you want to spend a couple of dollars towards your social media posts, then make sure you do your research. To get more bang for your buck, find out what your audiences are interested in through Google Analytics and Insights. In Facebook Insights, you’ll be able to see the main demographics of your Facebook fans. You’ll get a good idea of their age and location. Twitter Audience Insights provide a little more information about your fans than Facebook. It gives you an overview of your followers’ interests, demographics, lifestyles, and mobile footprint. The demographics section shows the percentage of male and female followers you have, as well as the languages they use. It also shows the country and region where they are located. The lifestyle section provides information on their interests and TV genres. Interestingly, Twitter also provides information on your followers’ wireless carrier and device type. If you want to use the data on your website traffic to better target your audience on social media, try using Google Analytics. You can head over to the Audience section to view the interests and demographics of your website visitors. You can easily use this data to target your Facebook and Twitter posts to ensure they reach people that will be interested in engaging with your content. When we suggest that people comment on blogs, we don’t mean writing simple and spammy comments like, “Great Post!” “Thanks for the information!” “Great Work!” We want something that is relevant and can generate discussion with readers. Will my link benefit other users? Is it relevant to the blog I’m commenting on? Does my link share valuable information? If your answer to any of these questions is anything other than an enthusiastic “yes”, or if you’re sharing any kind of promotional link, then you may want to rethink posting your comment. Personally, I think emails are a great way to connect with bloggers and other professionals online because they are personable and customizable. 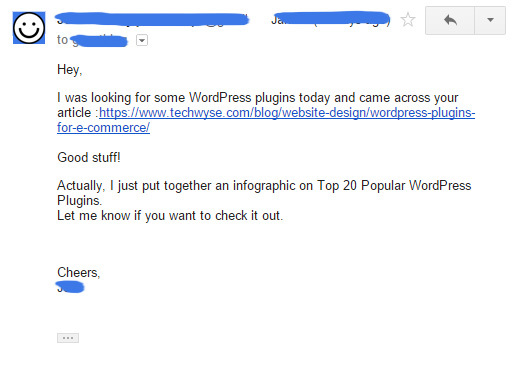 As a Community Manager, I’ve received countless emails from bloggers, businesses, and digital marketers. They reach out through email and share with me some of their latest content and infographics. The main purpose of their email is to share valuable information with me that they think will resonate with our audience. More often than not, if the email isn’t spam-y and the links are valuable to our audience, I will consider sharing them on our social media channels. 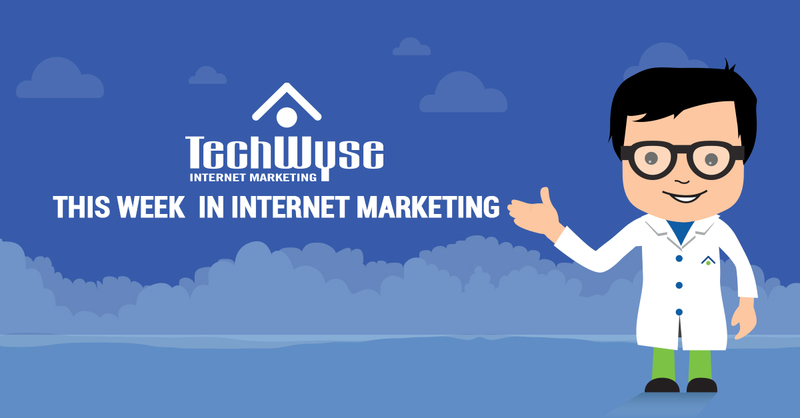 If an article is extremely well-written and high-quality, it may also be included in our This Week in Internet Marketing roundups. However, the way you write your email can ultimately affect the results of your outreach. Of course, make sure your content is worthy of sharing before you email your contacts list with the link. Finally, you want to have conversations with people in your community who share your interests. LinkedIn and Facebook both have numerous groups you can join to share information and connect with like-minded individuals. However, like email outreach, you want to share links and articles that are valuable for other members in the group. Thus, driving traffic from the communities to your link and website. You don’t want to be seen to be only promoting your own content. If members or administrators of the group find that you’re too promotional or spam-y, you could be banned from the groups. In addition to groups, you can also participate in Twitter chats and forums like Inbound.org. Both of these are great places to converse, answer questions, and ask your own questions. If you’re joining communities online, you don’t always have to share articles and content. You can simply participate in conversations, “like” posts, and write comments. This way, you’ll be seen as an active member and other members may begin to notice you more. If all goes according to plan, those other members may end up looking at your profile and clicking through to your website. The potential for social media is endless. Their targeting options and ability to reach a wide audience can attract a large amount of traffic to your site. 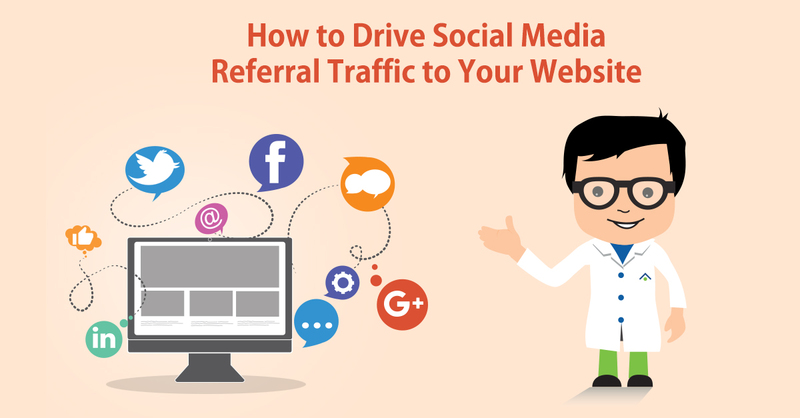 Those are only a few ways to use social media to drive referral traffic to your site. What are some other ways you can use social media to drive referral traffic to your site? Let me know in the comments below!